It’s time! Vote for Steve! I read this article and found it very interesting, thought it might be something for you. The article is called It’s time! Vote for Steve! and is located at https://votesocialism.com/its-time-vote-for-steve/. It’s time! For what? 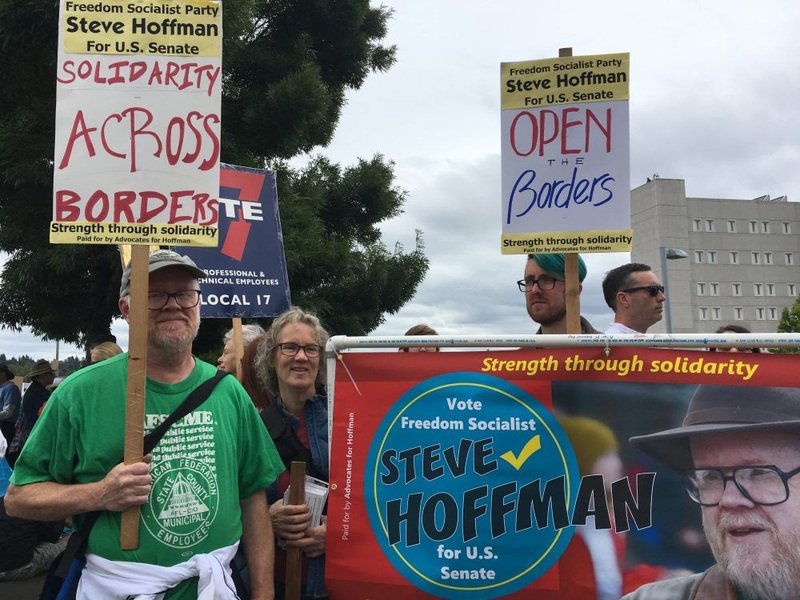 To choose Steve Hoffman for U.S. Senate! Ballots are in the mail and voting officially started on July 20, ending on August 7. No other candidate has Steve’s record of standing up for workers, women, people of color, immigrants, LGBTQ people, and everyone who gets the worst of this cruel profit system. And he is concerned not only with the problems of people at home – he’s also an anti-war veteran concerned with the condition of working people internationally. He knows that our fates are linked with theirs. Steve stands for the things that will end poverty and make life secure and productive for working people: nationalizing key industries like energy under workers’ control, full reproductive rights, an end to U.S. wars and occupations, building an independent labor party, a swift transition away from fossil fuels, socialized healthcare, jobs for all, and free, quality schooling all the way through higher education, and other hard-hitting solutions. His solutions are radical because they need to be! And they are also sane and practical. Steve’s candidacy presents a rare opportunity to vote for what you and other Washingtonians actually need and want. He knows that it will take mass movements to achieve the things he’s advocating, and if elected he will use his seat in Congress to protect the rights of protesters and help the labor and social movements become effective and grow. When you have sent in a ballot voting for Steve, email the campaign at VoteSocialism@gmail.com and we will send you a sticker to wear proudly that says “I voted for Steve.” Cast your ballot early and spread the word! Proposition 1 would renew a levy to continue supporting the Automated Fingerprint Identification System (AFIS) paid for by property taxes at about $25-28 a year on the average home. The levy would continue for six more years with annual increases. The county has been funding this Big Brother technology with regressive levies since 1986. A creepy new addition in the fine print of this year’s levy states: “The proposed budget includes funding to allow the AFIS program to research new biometrics and technology…” Vote NO!